The Iraqi army said late on Sunday that it had killed 21 suicide attackers from the ISIS terrorist group near the holy city of Karbala. The Takfiri militants were killed in an operation by Iraqi forces on the borders between Anbar province and the holy city of Karbala, where millions of Shiite Muslims on Sunday marked Ashura, the martyrdom of Imam Hussein (AS) and 72 of his companions in 680 AD in a land that is known today as Iraq, after they refused to pledge allegiance to the tyrant Yazid. The announcement was made in a press conference by Major General Qais al-Mohammadawi, the head of the Defense Ministry’s Central Euphrates Operations. 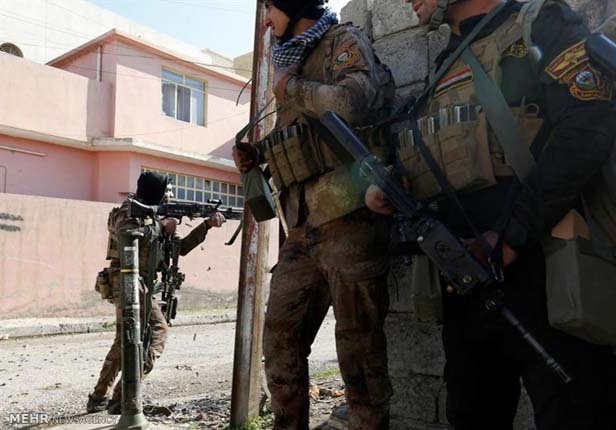 The “preemptive” operation was carried out by government forces backed by the Popular Mobilization, according to the military official. Ashura is the culmination of a 10-day annual mourning period in the lunar month of Muharram for the third Imam of Shiite Muslims, who was a grandson of Prophet Muhammad (Peace be upon Him). The rituals are observed in ultimate magnificence in the holy cities of Najaf and Karbala in Iraq, the latter of which hosts Imam Hussein's holy shrine. On Sunday, hundreds of thousands of pilgrims, traveling from India, Pakistan, Afghanistan, Iran, Azerbaijan, Lebanon and many other countries, descended on Karbala, with officials putting their numbers at 6 million.